In markdown mode, all of the fenced code blocks and inline code literal strings are displaying with this very large font. The size is large, and also I'm pretty sure it isn't the same font as the default surrounding text (which is Classic Console). 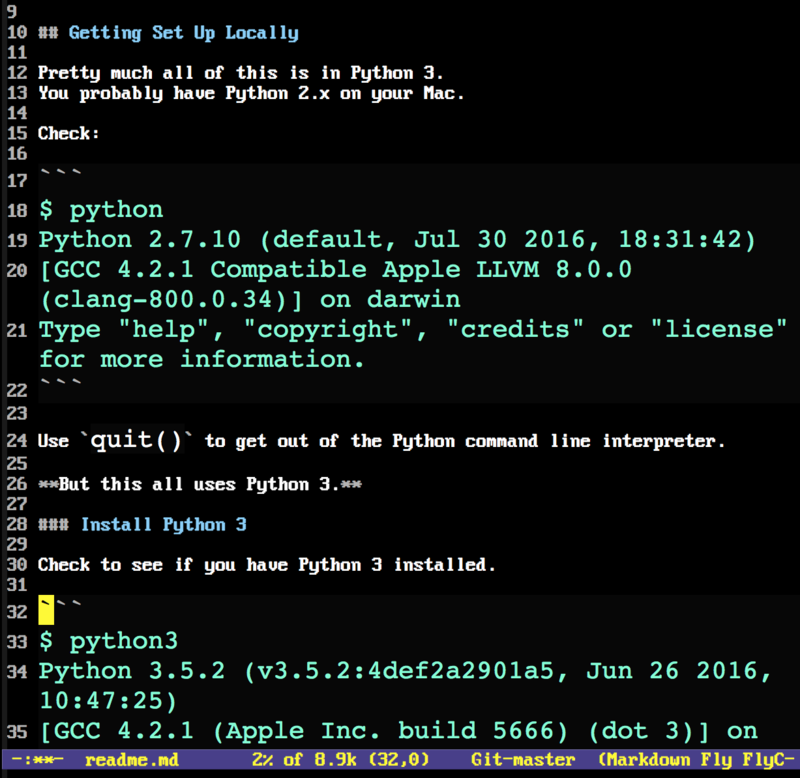 This is Emacs 25.3 on a Mac, using the standalone app (the one from https://emacsformacosx.com/). My .emacs file is here. This can be fixed by calling M-x customize-group RET markdown-faces while in Markdown mode. It opens a menu of various font face settings. Under Markdown Code Face, uncheck/delete everything and then save. This will make the code face the same as the default face. Not the answer you're looking for? Browse other questions tagged faces fonts font-lock markdown markdown-mode or ask your own question. How to make Flyspell ignore code blocks in Markdown?